ART Charles Darwin exhibition . Textile by Andrew Delaney . Darwin's specimens . Textile art . 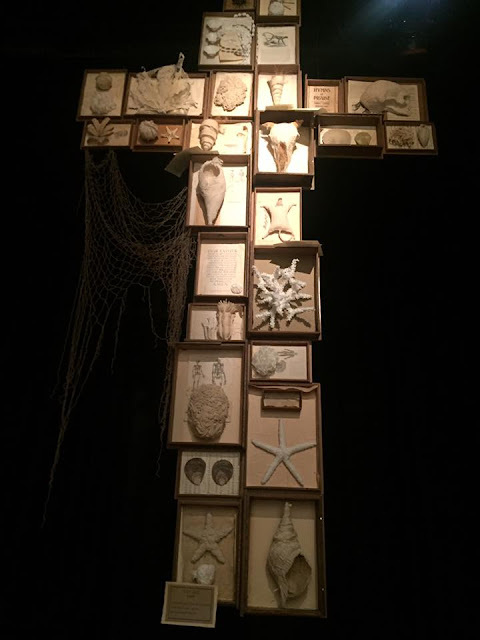 Crucifix .Evolution versus Creation .